Although rumors involving Aurora Cannabis Inc. undoubtedly provided the main event, Aphria Inc (TSE:APH) (OTCMKTS:APHQF) (FRA:10E) may be today’s most interesting backstory. The Leamington-based licensed producer plays prominently in the news which has seen ACB soar $1.40 to $9.94/share (↑16.39%), although it is a secondary actor. As reported by mainstream financial news this morning, Coca-Cola Co. is in “serious talks” with Aurora Cannabis to develop cannabis-infused beverages. BNN Bloomberg sources stated that the world’s largest beverage company is interested in developing beverages that are infused with cannabidiol (CBD), the primary non-psychoactive chemical found in cannabis. Talks were characterized as “pretty advanced down the path” according to one particular source close to the emerging deal. Irrespective of the fact that this announcement is the most telegraphed catalyst in the sector, a couple of important ancillary caveats standout. The story paraphrases Managing Director of equity research at GMP Securities LP, Martin Landry, as denoting that Coca-Cola or Switzerland-based Nestle S.A. would likely favor joint-venture type partnerships, rather than large equity-type investments. If Landry is correct, this splashes cold water that transcendent direct-stake partnerships are imminent for other major cannabis operators. 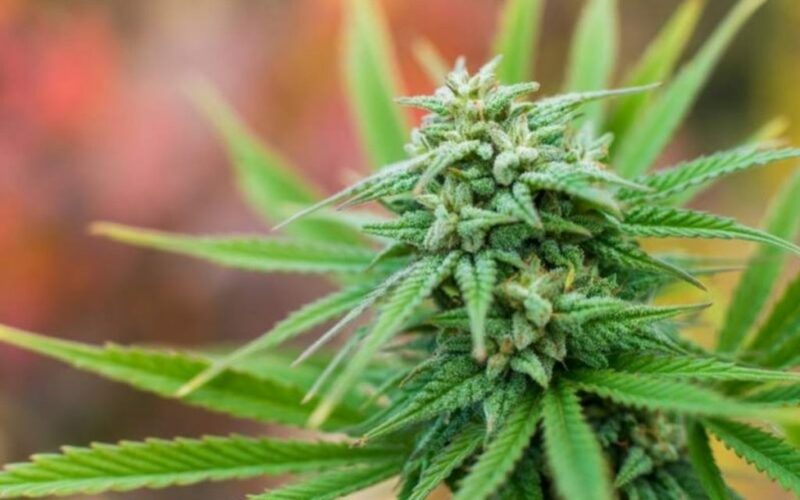 Of course, the market has been running largely on such non-stop hype over the past month, ever since Constellation Brands Inc. upsized their direct-equity investment with Canopy Growth Corp. last month. If Landry’s assumptions are indeed correct—a big ‘if’ I might add—the presumptive jumps in the share prices of many cannabis LPs over the past month should be scrutinized. That’s not an argument that these run-ups aren’t justified, rather, a cautionary note that many upcoming partnerships may be more arm’s length than many realize. Or worse—guinea pigs—if his analysis is correct. In conjunction with this analysis, sources disclosed that Coca-Cola had previously held talks with Aphria two months prior, which apparently stalled out. Why this happened was not explained, but if Aphria is no longer considered a candidate in these discussions—as the story implies—this has both positive and negative ramifications for Aphria’s common shares. From a pessimistic standpoint, this would be the second time Aphria has engaged in high-level, Big Beverage negotiations and failed to close. Earlier this summer, the company was among the final candidates in partnership talks with Molson Coors Brewing Co., which eventually landed on HEXO Corp‘s lap. Whether Aphria backed-out or were turned down is unclear. However, a subsequent Midas Letter interview with Aphria CEO Vic Neufeld suggested that Molson’s deal was not structured to the company’s liking, implying that Aphria would not have moved forward regardless of Molson’s final decision. Vic Neufeld: And what didn’t happen is a major global beer brand making a real big statement in this space… There was no equity investment, there’s no injection of gray matter… rather it was their contributions into the JV of trying to create a brand. Could Coca-Cola have been offering similar-type JV terms? BNN’s own sources claimed that executives from Coca-Cola held high-level talks with Aphria two months ago, but didn’t progress further. This would have been in concurrence with partnership talks held by Molson Coors in July, so the possibility that unsatisfactory terms were laid out must be considered. Even without Coca-Cola, there are many other global suitors from which Aphria could still partner with. Beverage conglomerates such as Monster Beverage Corp., Keurig Dr Pepper Inc. and many others are likely conducting their own due diligence on the future cannabidiol-infused marketplace. Still, losing out on a partnership with a global beverage goliath like Coca-Cola—a company with a global distribution chain without peers— is undoubtedly a bitter pill to swallow. On the flip side, disengaging from Coca-Cola negotiations could indicate that Aphria is not interested in anything but a direct-stake equity partnership—similar to the one afforded to Canopy Growth. If so, when Aphria eventually procures the Big Beverage partnership many are expecting, it could be a great value proposition for investors. That is, a collaborative arrangement where both entities engage in mutually beneficial business operations as equals. Such a direct equity but-in would also, presumably, carry a significant premium to VWAP and enhanced forward visibility in terms of production off-take, end product development and revenue sharing. Keep in mind it is still unclear what type of deal structure Coca-Cola is pursuing at this point. There are no assurances that a deal will even get completed, let alone at the type of arrangement many investors are hoping for. Judging by the gap-up reversal in the market this morning, investors might have just gotten a bit ahead of themselves here. While the news is a net positive, it’s really isn’t something that the market isn’t expecting already. Everybody knows this is coming, and that all the biggest players are going to be involved. In the end, the news is mainly a net positive for Aurora Cannabis, and even then, it’s unclear how what kind of structure is involved. Is Coca-Cola exploring a JV arrangement, or looking to infuse capital into the partnering entity? This distinction matters, because if Canadian LP’s are simply cash crop guinea pigs with minority control, the biggest future cash flows will not be rolling in their direction. It could also mean the difference between a STZ-WEED post-deal reaction, or that of TAP-HEXO. For Aphria specifically, it appears they understand this fact all too well. That’s a good thing, because partnering under the wrong pretenses may do little to boost long-term shareholder value. Patience to procure the right deal, we suspect, will yield the most beneficial results in the end—irrespective of how big Aphria’s dance partner ends up being.